The future groom in this photo knows just how to fly an airplane. How exciting it is for engagement photographers to have client-couples with special skills that only a few people have. Witnessing those skills during an engagement photo shoot is all the more exhilarating. Just imagine how the photographer behind this image felt upon learning that her client actually has the skills to fly an airplane and that he’s willing to show it off during the engagement photo session. 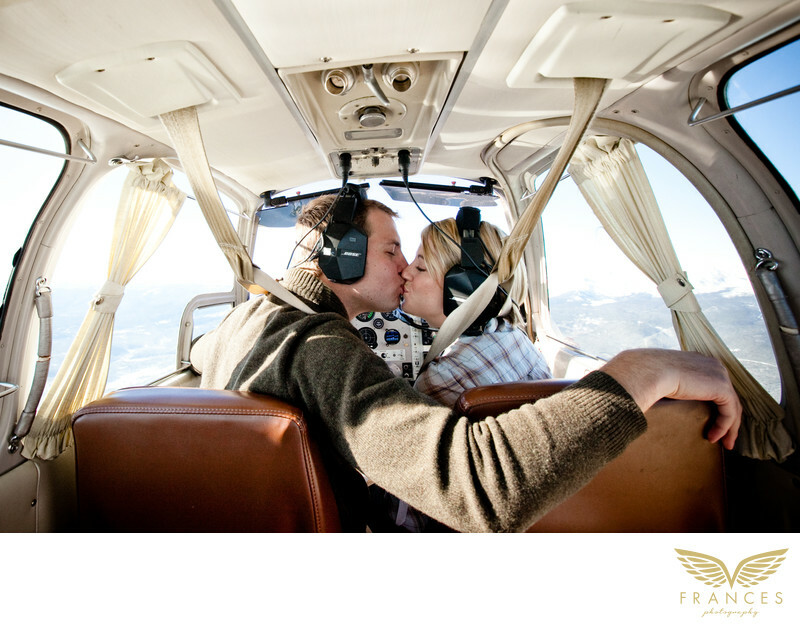 We are not sure how the photographer behind this image reacted when the couple suggested the idea of holding their engagement photo shoot thousands of feet from the ground and inside a plane where the groom-to-be himself would be the pilot. For ordinary people, it would make us think twice about saying yes. But for the adventurous and high-spirited Denver engagement photographer who captured this photo, nothing is more exciting than to capture photos of the couple inside a chopper that’s literally flying in the sky. There might be a little anxiety but not every photographer gets the chance to experience this, right? The opportunity of taking a unique engagement picture like this is surely worth the risk.